What is truly Mexican food? You’ve heard the term “Tex-Mex” before, but what does it mean? Did you know that a lot of the food that you’ve been calling Mexican originated in the United States? This is “Tex-Mex”. While it’s also the name of the capital city of the state of Baja California, as far as food goes, the term “Mexicali” refers to more authentic dishes that actually come from Mexico. They were brought into the United States by immigration into California, as well as from the Latino inhabitants of California before it was annexed by America. Before we continue, let’s be clear about one thing. There is no one “true” Mexican cuisine. The famous pozole soup of Jalisco, rice and sausage morisquesta from Michoacan, indigenous Oaxacan cheese and sauces and many other dishes are all regional specialties. And, in the end, what you like to eat is up to you. We’re just here to help you find the most authentic Mexicali meal in the area. You might not believe it, but burritos are not a traditional Mexicali dish. Mexican cuisine uses corn flour, rather than wheat flour, almost exclusively. The difference between tacos and burritos isn’t that one is soft and one is crispy, but tacos are made with corn tortillas and burritos are made with wheat tortillas. The wheat tortillas in burritos are more common in America than they are in Mexico. But what about nachos? They’re made with corn chips, so they must be real Mexican, right? Well, the story is a bit more complex than that. The legend goes that Mexican maitre’d Ignacio “Nacho” Anaya was seating a group of Texan women who crossed the border to enjoy some local cuisine. While the restaurant was actually closed, Anaya improvised and created something marvelous. Anyone who loves a combination of crunchy chips and gooey, melted cheese, owes a debt of gratitude to dear Nacho. While they were created in Mexico, they realy became famous with the military members and their families just north of the border. As this all happened in 1943, nachos aren’t a true “classic” dish of the Mexican culture. Other tell-tale signs that what you’re eating comes from the U.S. is the smell of cumin in he seasonings. Mexican cuisine features chicken or goat as the main protein, and in Baja shrimp and ocean whitefish are common on tacos. If you’re eating beef, it’s probably not traditional Mexican. Yellow cheeses, such as cheddar or Colby jack, are a new addition to old recipes. 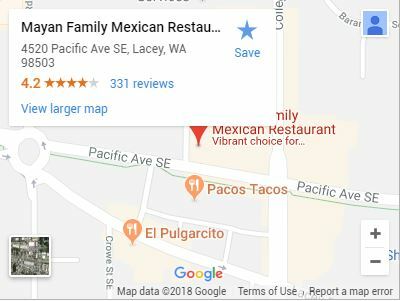 What if I want a real Mexican dinner? If you weren’t fortunate enough to enjoy a warm, home-cooked Mexican meal as a kid, you missed out. Every dinner has a few elements in common. The absolute must-have side is corn tortillas, hot off of the press and stacked tightly, wrapped in a towel or bandana. You peel them off of the stack, one at a time, and roll them up. Then take some anejo cheese, a crumbly, salty white that’s not unlike Parmesan, and sprinkle it over stone dish that’s full of refried beans. Dip the tortillas in the beans for soft, chewy treat with an unforgettable savory flavor. The sides are hearty enough to fill you up, but you can add seasoned shredded chicken in a spicy sauce to your tortilla for an instant taco. Add a dollop of crema, not sour cream, not cream fraiche, but real, Latin crema, or a smooth taste with just a bit of tang. 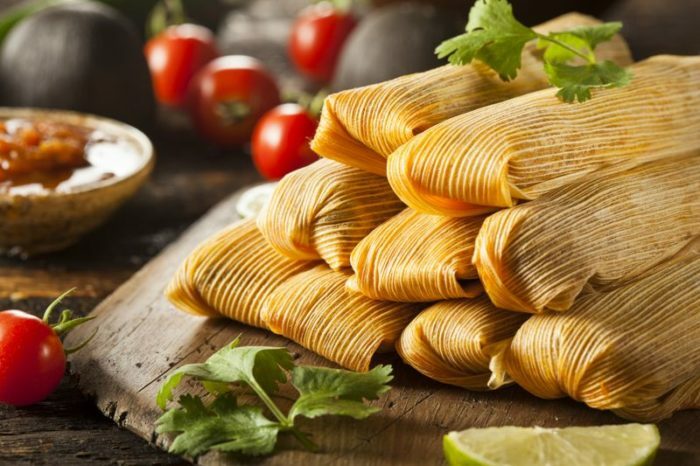 Tamales are a staple of Saturday dinners in Mexican households. They take virtually all day to make when you do it right, but they’re well worth the effort. 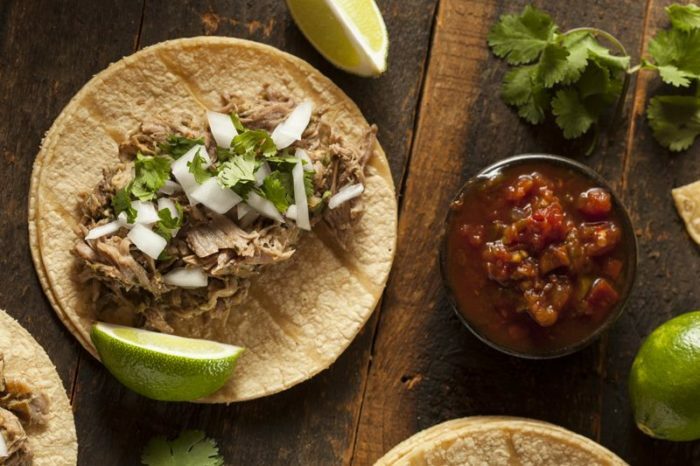 Don’t worry if you’re not an experienced cook when it comes to Mexican cuisine. 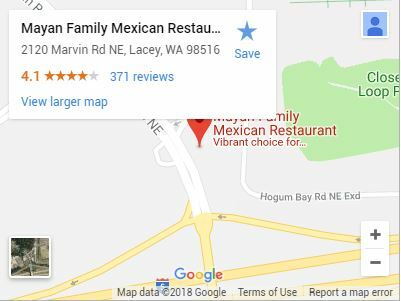 Mayan Mexican Family Restaurant is your best choice for homestyle Latin fair in Lacey, Washington. We’ve got three locations in the area to serve you. Our chefs are trained in traditional cooking methods to bring you something delicious every time. From the dishes that we’ve described here and more, our menu is full of old favorites and new things for you to discover. Yes, we do some Tex-Mex, too. It might originate “North of the Border”, but it’s still popular and delicious. In fact, our menu even contains a few Norteamericano plates, American food, for the less adventurous. Maybe you just want a few drinks to get the night started. Mayan Mexican Family Restaurants have cantinas stocked with your favorite cervezas and other fine liquor. Do you want to know what really sets Mexicali apart from Tex-Mex? It’s the love. You can’t call it a family meal without la familia. Here at Mayan Mexican we can accommodate very large groups in our banquet halls. We just ask that you give us as much time as possible to process your reservation. The best way to do this is to call ahead and make a reservation by phone, then send us a note through the contact form on this site with full details of the time that you need your reservation, however many people you expect, and a note letting us know that this is a follow up to a phone reservation. Real Mexican food is warm, flavorful and made with a unique care and attention to detail. Despite the distance, it’s not hard to find an authentic meal this far north of the border. Come on down and see us tonight. 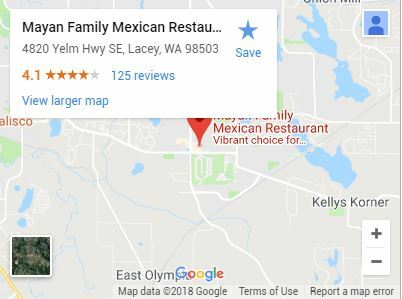 Whether you need something that reminds you of how abuela used to make it or if you’re curious to try what you’ve been missing, a trip to Mayan Mexican Family Restaurant is just what you need.